Positive: Excellent autonomy; good cooling system. Model: The Huawei Y6 Pro is the newer version of the Huawei Y6. 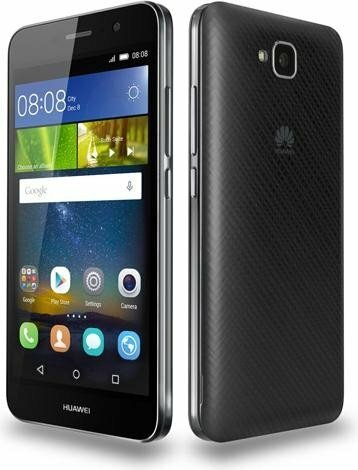 Like the previous generation, the Huawei Y6 Pro is also a mid-range smartphone in terms of specs, but the phones best selling point is obviously its massive 4000 mAh non-removable Lithium-Polymer battery with quick charging support. As for design, it sports a plastic back which most mid-range phones come equipped with. However, the back comes with a textured body, which looks nice and classy. The back is removable, but like most Huawei phones these days, users do not have access to the battery. The dual-SIM and microSD slots are under the back cover, right above the non-removable battery. The charging port and speaker grill are at the bottom of the phone. It has its power and volume rockers on the right side, which can easily be reached with the thumb. It feels a little heavy at 160 g, but easily fits into the palm with its dimensions of 143.1 x 71.8 x 9.7 mm. Talking about the display, it has a 5 inch HD IPS display, which is the same LCD panel that was used in its previous version of the Y6. It is a decent panel for a smartphone at its price range. The big bezel does not look attractive, however, there is an onscreen button, which is a welcoming addition. The LCD panel is good and it produces accurate color. The brightness is decent so the user will not have too many problems reading screen content under the sun. Behind the phone, a user will find its 13 MP autofocus rear camera (4160 x 3120 pixels) and a 5 MP front camera (2.592 x 1.952 pixels) which are decent in quality. Though it has capabilities to capture nice photos during daylight and does a decent job during selfies, groupies and video calling, low light photography is average and can appear slightly noisy. If there is one reason a user should buy this phone, it is its 4000 mAh battery, which lasted a whole day’s worth of work. It can last through browsing the internet, checking emails, and browsing on social media, as well as social messaging for a day. Huawei has understood the need for longer battery life, as seen on the Huawei Mate 8 phablet, too. The Huawei Y6 Pro runs on Android 5.1 (Lollipop) and on Huawei’s user interface EMUI, with a quad-core 1.3 GHz processor and 2 GB of RAM. A user can expand memory up to 128 GB with a memory card. The Huawei Y6 Pro also comes with tools users may find useful such as a weather app, calculator, and FM radio. A user can optimize phone performance by using the inbuilt optimization tool, which clears junk files.